Combine milk and egg in a small bowl and whisk together. Place breadcrumbs in another bowl. Dip ravioli in milk/egg mixture, and then coat with breadcrumbs. I recommend coating all raviolis before you try to start cooking them. In a large pan, pour oil to depth of 2 inches. Heat oil over medium heat. 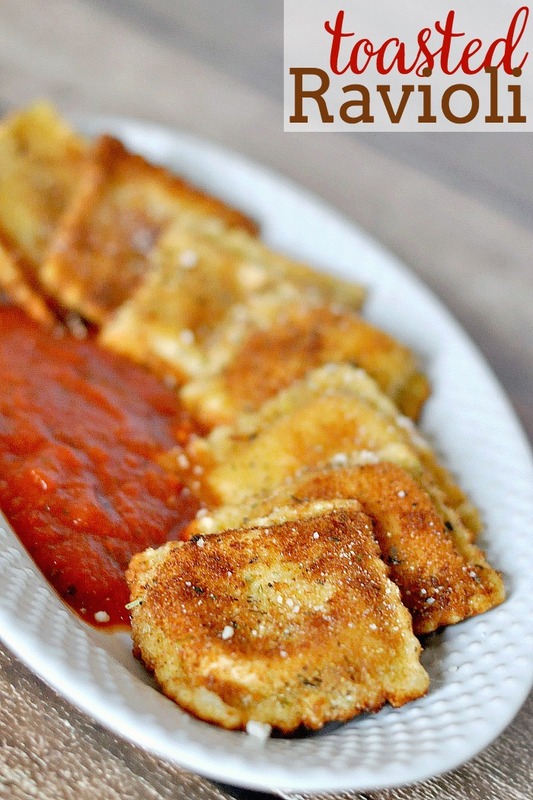 You want the oil hot before ever trying to fry the ravioli; try adding a small amount of breading into the oil – it should sizzle and turn brown. Fry ravioli about 2 minutes on each side or until golden. Don’t put more ravioli in a pan than you can manage monitoring and flipping. Place on paper towels when they are done and sprinkle with Parmesan cheese. Serve with hot marinara sauce.